Willy Claflin is a one-man festival. Spanning historical sagas, intergalactic yarns, Mother Moose Tales, and counter culture misadventures, he covers the full spectrum of spoken word entertainment. A headliner and master of ceremonies at the National Storytelling Festival, Willy is a favorite at festivals throughout the U.S. He offers stories for families as well as adults, often weaving music into his performances. An accomplished guitar player and narrative ballad specialist, Willy is sometimes joined by his son Brian for performances of In Yonder’s Wood—a celebration of traditional music from the British Isles and Appalachia. His tributes to departed tellers, especially Gamble Rogers, revive wonderful talent that might otherwise be forgotten. Festivals love sidekick Maynard Moose. Original, traditional, historical, personal, comic—regardless of genre, Willy fits any playbill. 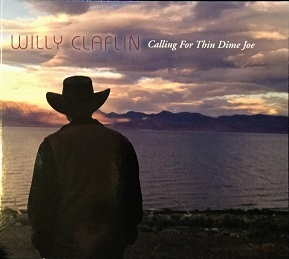 WILLY’S NEW CD IS FINALLY HERE! Order now!